BCAAs stand for branched chain amino acids (leucine, isoleucine, valine), and they're beneficial when it comes to supporting muscle growth and enhancing workout recovery. Supplementing with BCAAs can help with lean muscle building goals and help reduce muscle soreness. Talk about a win, win. BCAA supplements are a great way to improve women’s overall fitness and results in 2 major ways. Muscle soreness is oftentimes a side effect of training, which can definitely get in the way of your recovery and subsequent workouts. As an essential amino acid, these important BCAAs can’t be made within the body and must be consumed from outside protein sources. As you workout and train, your muscles are broken down and need to be repaired. BCAAs, specifically leucine, support the lean muscle building process during your recovery and help repair the damaged muscle. This helps your muscle to build back stronger. Another way that BCAAs help support overall training and results is by helping minimize muscle soreness post workout, making for a faster recovery, so you can train your hardest day in, day out. Can I view IdealLean BCAA's nutritional facts? How do IdealLean BCAAs make me lean? Amino acids are the building blocks of muscle. But because your body can’t produce branched chain amino acids (BCAAs) on its own, you have to acquire them through the foods you eat. Taking IdealLean BCAAs allows you to speed recovery and repair lean muscle faster. By stimulating protein synthesis, IdealLean BCAAs help you rebuild muscle tissue broken down during exercise. 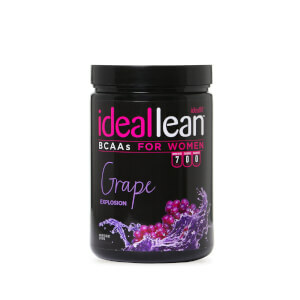 In addition, IdealLean BCAAs help you maintain lean muscle mass even while dieting, which is critical for maintaining a healthy metabolic rate. Plus, your body has the ability to use BCAAs as energy during a workout so you can push yourself even further. 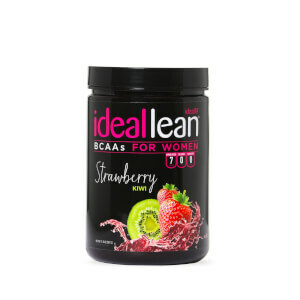 With IdealLean BCAAs you can reach your ideal lean body even faster! How do I use IdealLean BCAAs? Add one scoop of IdealLean BCAAs to 8 – 16oz of water according to taste, and mix thoroughly. You should take IdealLean BCAAs during your workouts, throughout the day on non-training days, and between meals on an empty stomach. What are the benefits of IdealLean BCAAs over other BCAAs? 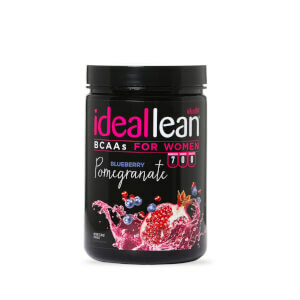 IdealLean BCAAs are a cut above the rest because we designed them specifically to help WOMEN reach their goals even faster! Not only do IdealLean BCAAs come in 7 incredibly delicious flavors, they contain 7g of the highest quality amino acids in a proven 2:1:1 BCAA ratio so that you can build lean muscle and recover fast. Plus, with our IdealLean Fat Loss Blend and coconut water powder, you can stay lean and hydrated! What are the benefits of recovering and repairing muscle? Whether you’re working on building lean muscle or losing body fat, recovery should be a top priority. Faster recovery means that you can work harder each day and push your body to the next level! If you break down muscle without rebuilding it, you’re not going to see the results you’re working so hard for. Plus you’ll stay sore longer. IdealLean BCAAs provide your body with the building blocks it needs to rebuild and repair muscle so that you can get back at it even faster! 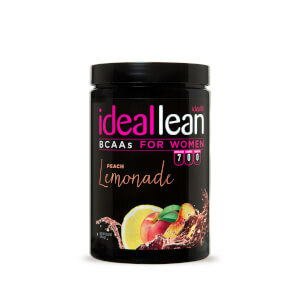 Only IdealLean BCAAs contain our IdealLean Fat Loss Blend designed to help you burn fat and stay lean! With ingredients proven to increase metabolism and fat burn, like green tea extract, conjugated linoleic acid, evodiamine and more, you’ll be able to achieve the fit, lean and toned body of your dreams. Does it give me energy? IdealLean BCAAs contain green tea extract 50% EGCG, but only .25mg of caffeine (less than you find in a chocolate bar). This is NOT enough to make any significant change in your energy level. However, green tea extract is proven to increase metabolism and fat burn thanks to powerful antioxidants called catechins. IdealLean BCAAs also contain B vitamins and phosphatidylserine, which could help boost your mood, but not your energy. Even though it won’t give you a boost in energy, BCAAs compete with tryptophan for entry to the brain, which can help to block your perception of fatigue so that you get a better workout.